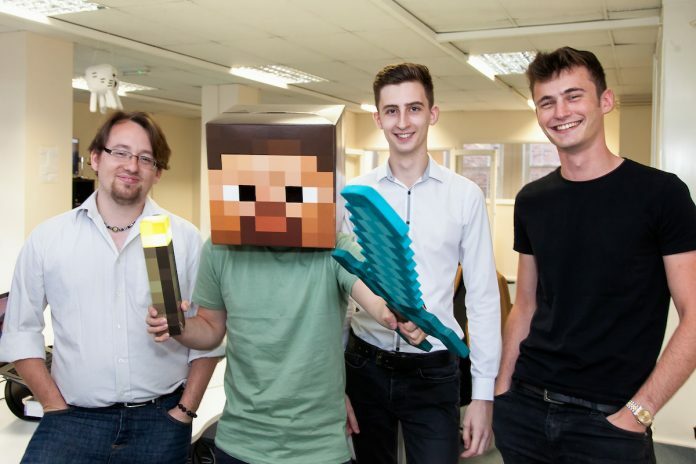 L-R: Liam Wiltshire - CTO, 'Steve', Oliver Watt - Developer, and Lee McNeil - CEO. A young Nottingham entrepreneur is on the hunt for three quarters of a million pounds of investment to take his gCommerce solutions business to the next level. Lee McNeil owns Tebex, which specialises in providing gCommerce solutions for online games. Tebex.io is the biggest gcommerce platform for Minecraft and several other online games. The company processes millions of transactions per year and has vast experience in monetisation, increasing customer value and improving online communities. Whilst monetisation and payments form the backbone of the business, Tebex is increasingly moving into fraud, security and server infrastructure solutions and is also exploring partnerships with academic partners around the creation of an educational platform. Lee, 22, grew up in Bulwell and ran Tebex out of his bedroom for the first two years of its existence. Now, 6 years on, he employs a team of four and has thousands of customers. Tebex has been used by 10 million unique players and has processed over $250m in payments since the company was started by Lee. The company has recently undertaken a full-rebrand as it gears up for the next stage in its development and recently expanded into 10 games after proving the concept works with Minecraft.